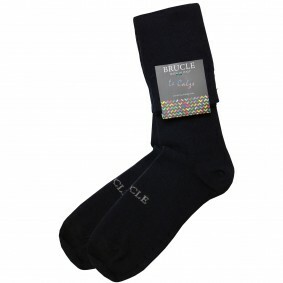 Brucle men's socks collection is designed and manufactured in Italy. Colored, solid color or patterned, our socks are made in natural cotton and a small percentage of elastane to be confortable all day and nylon for renforced toe and heels.With our socks put quality and style at your feets. 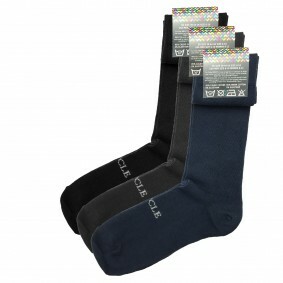 Stretch Mercerized Cotton Blend Socks blue Brucle, socks men's collection spring summer. They're a great way to finish with professional flair. Projected and manufactered in Italy Choose your style with the blue socks from Brucle. These luxury men's dot blue dress socks are made in Italy with an exceptionally soft organic cotton tested for harmful substances according to Oeko-Tex® Standard 100 Class 1. 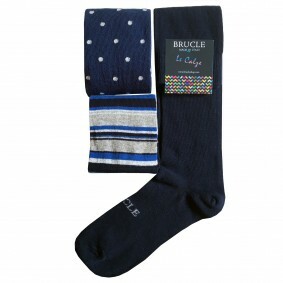 Choose your style with socks collection from Brucle. 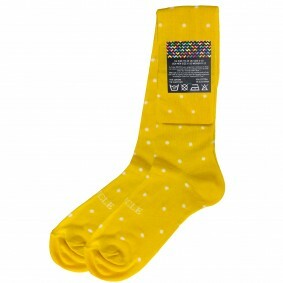 Brucle yellow Socks mens dot, projected and manufactered in Italy. 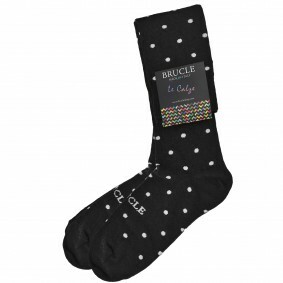 Choose your style with the yellow dot socks from Brucle made in Italy. 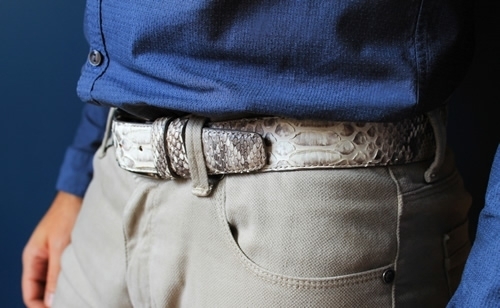 They're a great way to finish with professional flair or have a little fun on weekends. Brucle winterSocks men tartan orange brown, projected and manufactered in Italy. 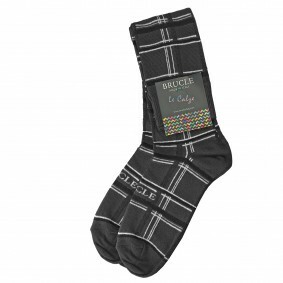 Choose your style with the tartan winter socks from Brucle. 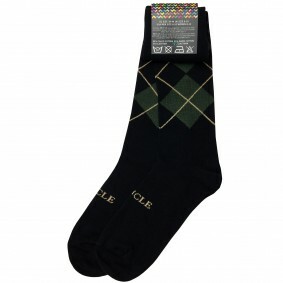 Stretch Mercerized Cotton Blend wintersocks tartans check green Brucle, socks men's collection fall winter. 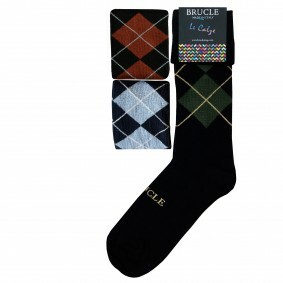 Choose your style with the dress socks from Brucle. Perfect fit through the use of elastane. 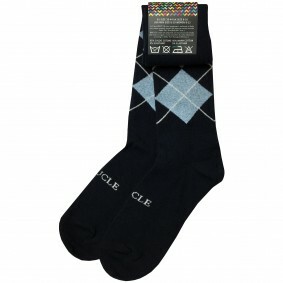 Stretch Mercerized Cotton Blend Socks tartans blue Brucle, socks men's collection fall winter. 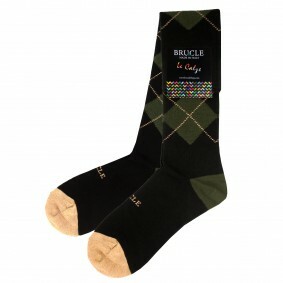 Choose your style with the tartan check socks from Brucle. 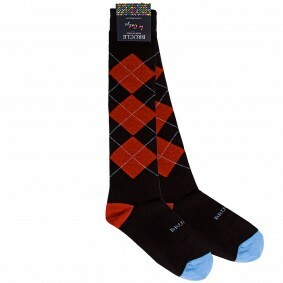 These luxury men's check casual socks are made in Italy with an exceptionally soft mercerized cotton. Brucle Men's 3 pack winter socks tartan check Color: blue, green, orange. 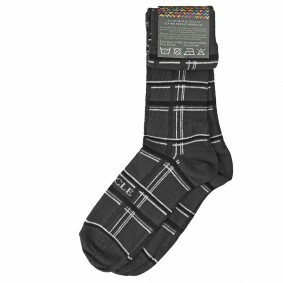 These fashionable tartans winter socks men's are a timeless addition to every well-dressed man's wardrobe. 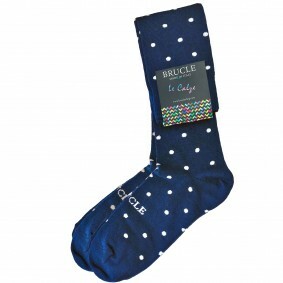 Brucle winter dress Socks mens blue dot, projected and manufactered in Italy. Fall Winter collection. Choose your style with the winter socks from Brucle. High quality: organic cotton tested for harmful substances. 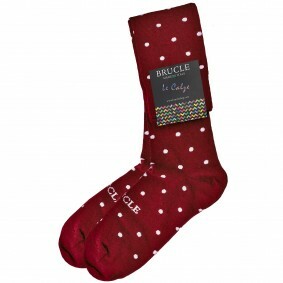 Brucle winter Socks red dot, for men's, projected and manufactered in Italy. These luxury men's red dot dress socks are made in Italy with an exceptionally soft mercerized cotton. These luxury men's black dress socks are made in Italy with an exceptionally soft warm cotton. Perfect fit through the use of elastane. Toe and heel reinforced. Brucle winter Socks mens blue, projected and manufactered in Italy. 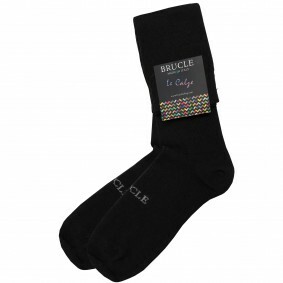 Choose your style with the dress wintersocks from Brucle made in Italy. Perfect fit through the use of elastane. The origin of the socks dates back to the time of the Sumerians. Their socks were not spun like our modern socks but were made of canvas. They were exclusively for men since they were part of the soldiers' uniforms. During the Renaissance, valuable materials were used for socks like silk, cashmere and fabrications were enriched with fine embroidery. Types and lenghts : from ankle socks to long socks…but never without ! Up to the calf or up to the knee ? The short sock or mid sock tends to be banned because it is considered unattractive. Socks that come below the knee are necessary as ankle socks and invisible socks to wear with short pants during sunny days. The most important thing is to never wear shoes without socks! Depending on the season, the materials also change: for his men's socks, Brucle uses only the best biological cottons that comply with the most stringent quality tests, guaranteeing the use of colors and non-toxic substances, also certified by his contact with the delicate skin of the neonates. This is the most stringent standard in the world with the most restrictive measures. Because style is important but the well-being of your foot is more important. The winter collection is made of warm cotton, a comfortable, natural, warm and hypoallergenic material, mixed with a small percentage of elastane to give more elasticity and resistance to the product. 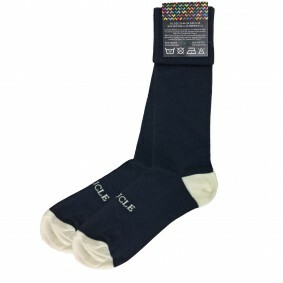 For summer socks and ankle socks we use mercerized cotton absorbent, soft and light. 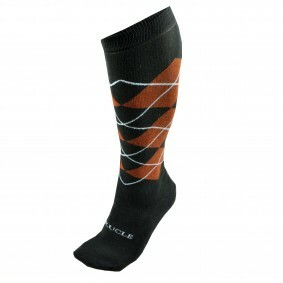 In our Brucle online store you will find a wide range of original socks and ankle socks 100% Made in Italy. 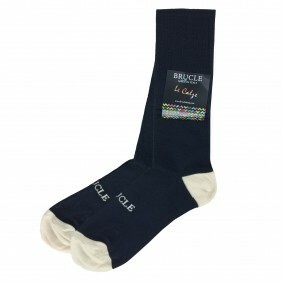 All Brucle men’s socks are entirely designed and made in Italy, more precisely, in the Venice area. The original models are internally developed and each year, variants and original models are invented. 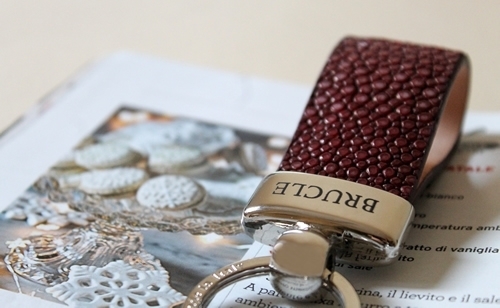 All Brucle fancies are made using yarns of different colors not with prints. 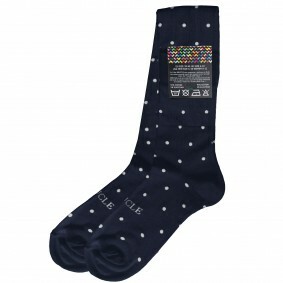 Socks in solid colors, socks with polka dots, checks or stripes, houndstooth socks up to fancy socks with the sea world composed of seahorses and octopus or lucky charmes with four-leaf clovers and ladybugs : with our men’s socks from Brucle collection, color your look according to your mood ! How to match your socks ? Socks must match with your shoes ? When you wear your socks, you must consider your event and the choice of colors for your outfit. For a ceremony, it will be necessary to opt for a classic style, socks in solid color or a rather sober fancy. 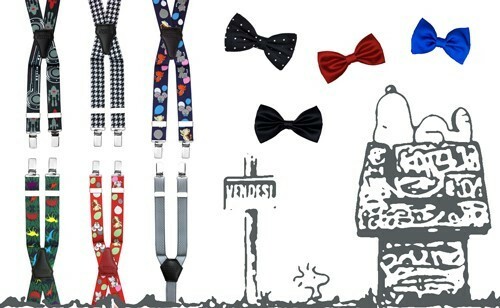 For all other occasions, you can freely mix several styles: a pair of polka-dot socks with a striped tie, preferably with a recall of colors, is an original and very fashionable solution, ideal to make your look unique. With jeans and sneakers, dare the most original fancies like seahorses and fluorescent fishes for a trendy look. 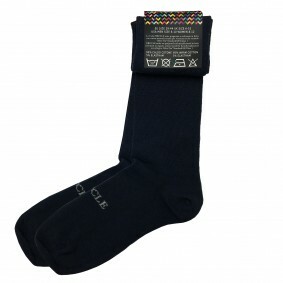 For a glamorous and original style, we advise you to wear colorful and sporty socks. For an even more trendy style, we advise you to wear fancy mismatched socks. Because you can also impress with your socks ! Choose the pack of 7 pairs of socks with the days of the week. A different color every day to start your day with the right foot! From Monday to Sunday, wear different socks to color your days from morning to night. Our men’s socks are made with natural cotton, non toxic dyesand water, we advise you to use the program « delicate washing » and wash them at 30°degrees. Iron them with a special program for cotton.